As a Community Interest Company we produce an annual report. It is based on our social and educational outcomes. 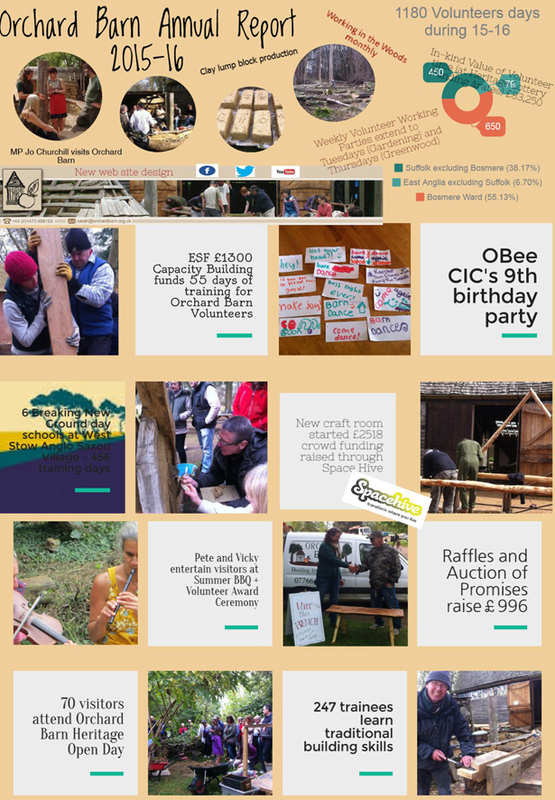 'In-kind' value of Volunteer time to OBee CIC (at Heritage Lottery Funding rates) is a massive £83,250!